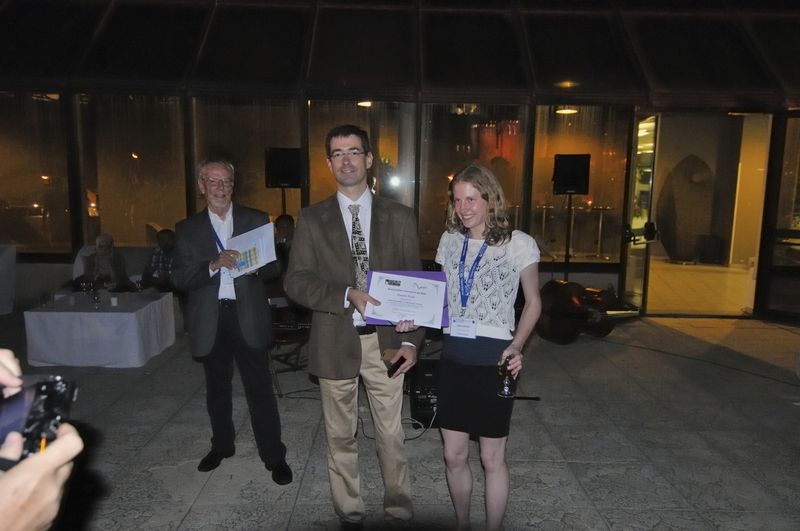 10/09/14, Marseilles : Pierre Dorlet (Vice-President of the ARPE) awards the ARPE poster prize to Sabine Richert at the IXth EF-EPR conference. This prize awards the poster entitled : « Spin delocalisation in supramolecular porphyrin assemblies probed by pulsed EPR & ENDOR techniques ». fr Archives Prix thèse & poster ARPE Poster Prize 2014 ?